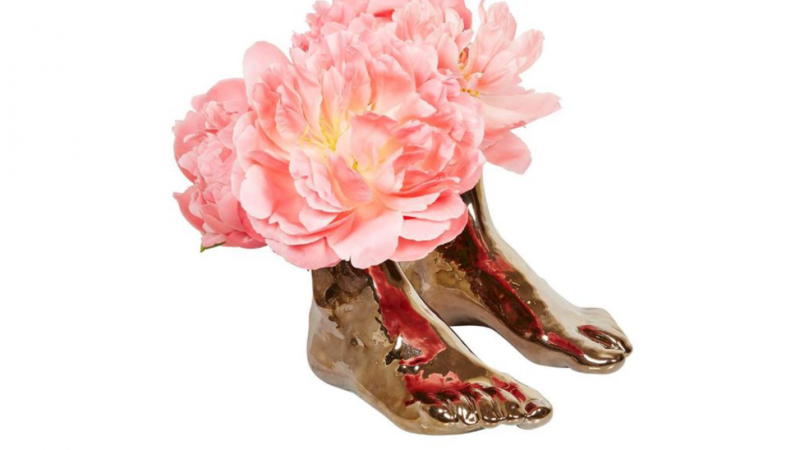 This unique and interesting bronze foot vase is sure to add a nice touch to your home. 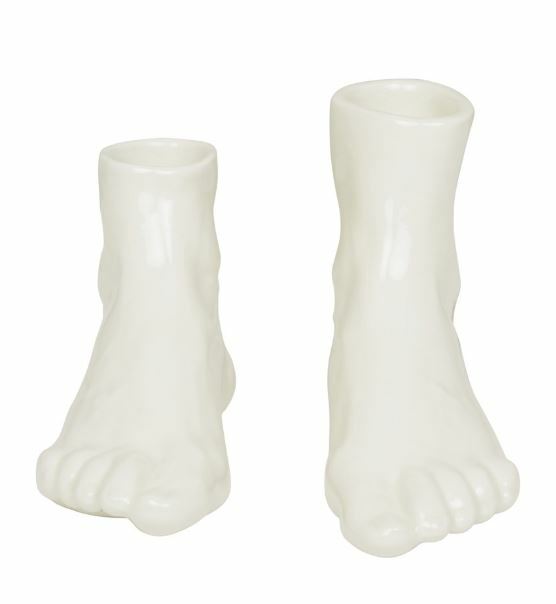 Unlike some generic vases these look great even when you have no flowers to put in them. A cool idea for any dining room, living area, office or bedroom. 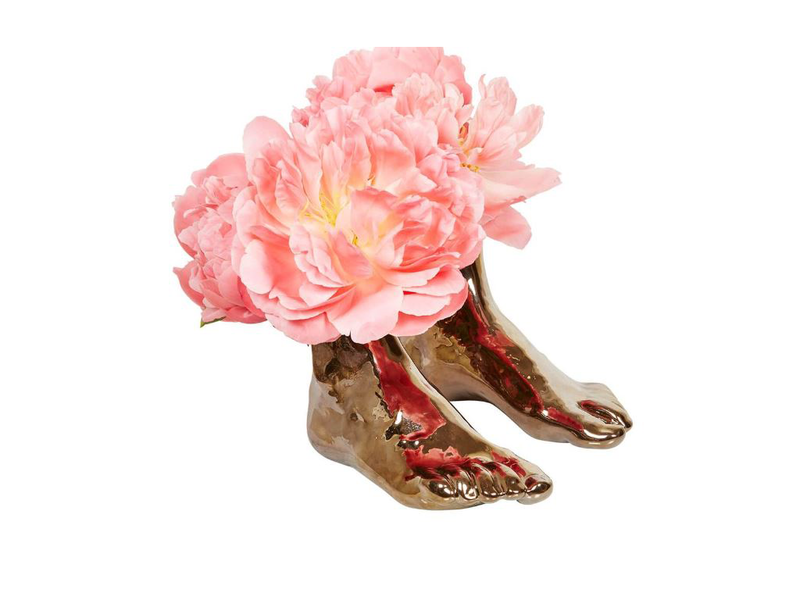 If you enjoy fun and quirky home decor items then these will definitely appeal to you. They are not just vases but are also a unique handmade work of art. Each one has been handmade by artist Sally Kent. All vases have been signed by the artist. Each vase has been handcrafted using fine porcelain and then fired twice. Firing porcelain twice gives it more strength. 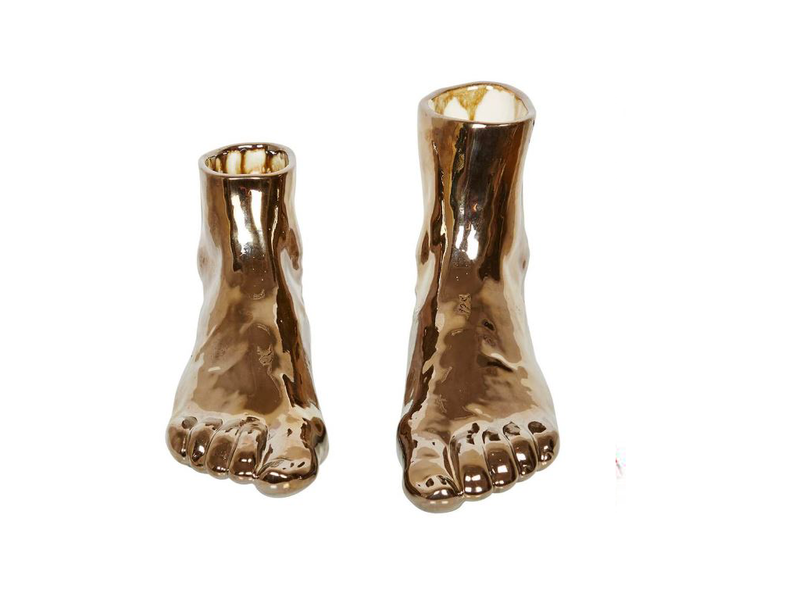 Metallics such as the bronze color of this foot vas are very popular when it comes to home decor. If metallics are not for you then this vase is also available in white. Using metallic colors in your home can be very appealing. It's usually advisable to stick to a single shade such as bronze, silver or gold. You can however mix metallics if you are careful when choosing pieces, Be sure that they compliment each other. It is papular to use one metallic piece with other items that are not metallic. This is because it can really make the piece stand out. It is also because it can be difficult to match shades. For example, even if all of your metallics are gold some gold pieces can have more of a yellow tone than others and so they may clash in a way you do not intend.